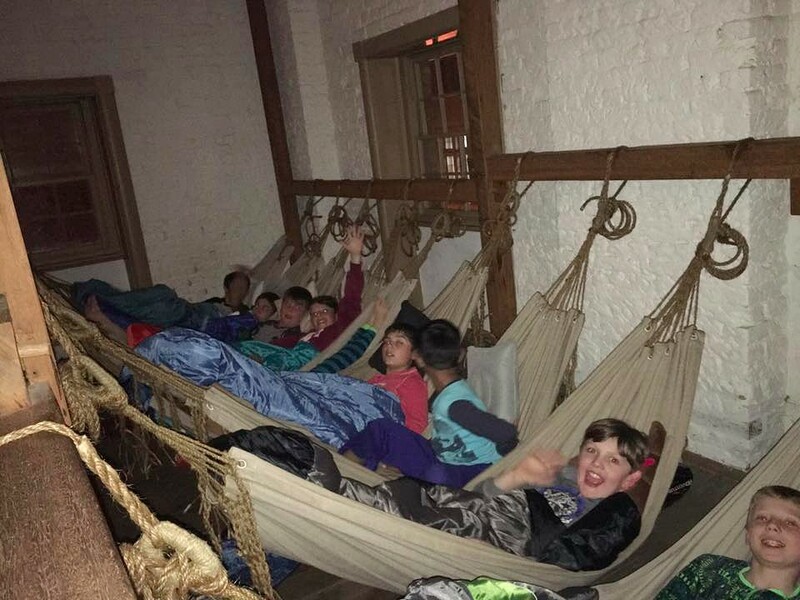 Tuesday morning, was the big day of the sleepover! In the morning I woke up very early, I packed all of my clothes and my toothbrush. When it was school time, I packed 3 things: my bag of clothes, my pillow and my sleeping bag. We left to go to Sydney at 8:45am. The bus trip was nice because it had a movie on. When we hopped off the bus, we found ourselves at a bus stop in the middle of the city. The place where we were was interesting because all of the buildings were very old and very big, and a few of them were modern. We walked to the barracks and put our bags in a big room in the back. After that, we walked to the Botanical Gardens. There was a big water fountain with statues of people on it. We walked over to the Museum of Sydney. I learned that Indigenous women were fishers and the men were the hunters. I loved the huge Lego statue of the city. After the museum we went back to the Botanical Gardens. Ethan and I played a game that whenever I touched his head he would change who he was. We played the game for 3 hours. We finally went back to the barracks for dinner. 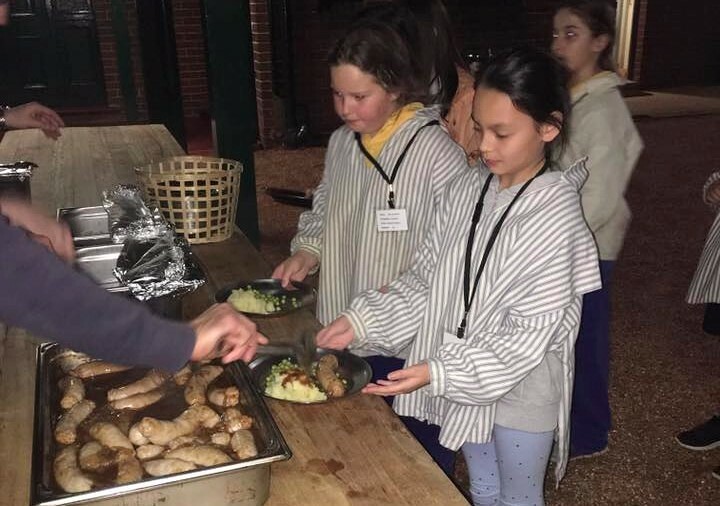 We got in our convict clothes, which were ripped up shirts and we were given a convict to be, my name was James Cook and I was a convict because I stole bacon. Read the full recount here. Our next assembly is scheduled for next Monday 29 August, at 1:50pm. Our item will be presented by Year 2/3 and streamed live to Facebook for anyone who is unable to make it. We hope to see you there! Stuart House donation bags were sent home last Friday and should be returned to school by the morning of Monday 29 August. 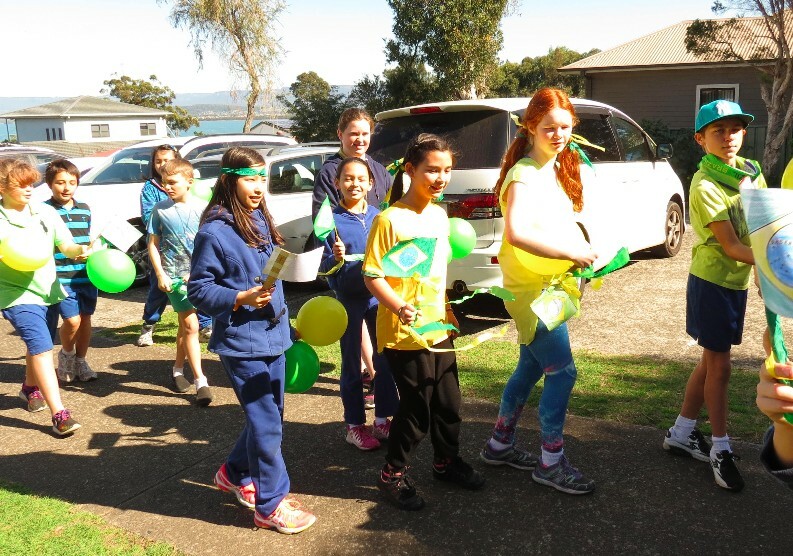 The Olympic spirit was certainly alive and strong at Lake Heights last Thursday, when we hosted our Mini-Olympics, International Food Fair and Open Day. 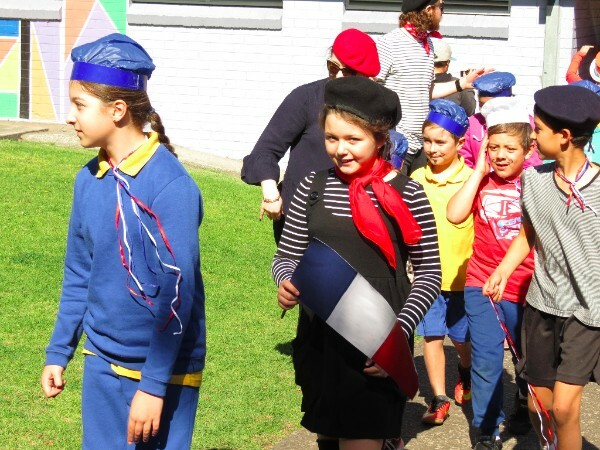 The atmosphere was electric as students assembled for the Parade of Nations at 11am. 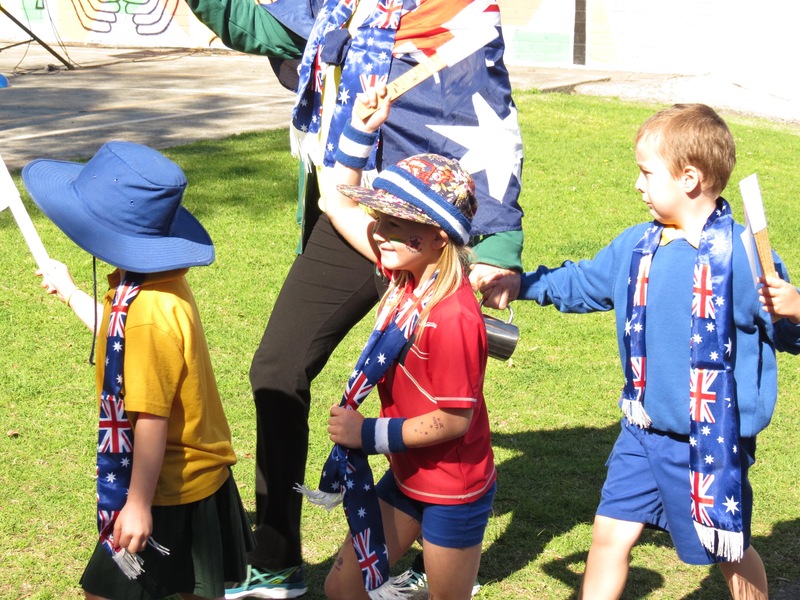 Each class dressed in their nation's colours and created accessories to match their outfits in class. The result was a spectacular wash of colour and there was certainly no doubt about which countries were being represented. 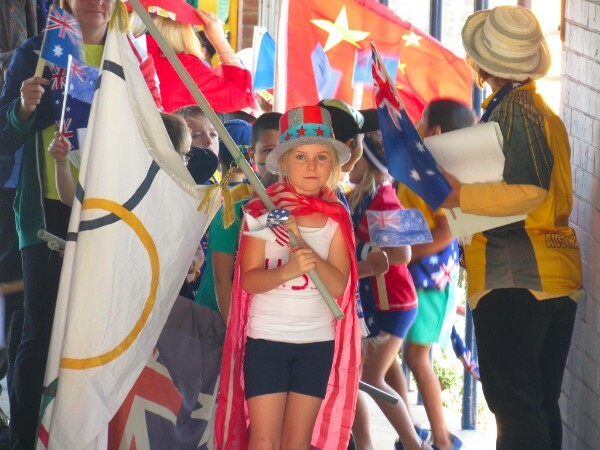 The parade was led by Amber Chase of Year 2/3, carrying the Olympic flag. Amber has the second best attendance record for the year so far. 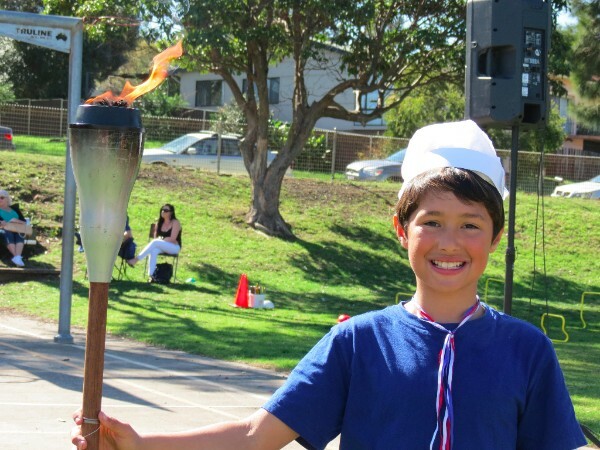 The parade was followed by a Torch Relay, led by the students from each class with the best Olympic torch design, and an athlete's ode, powerfully read by Year 6 student and public speaking finalist, Liam O'Hare. 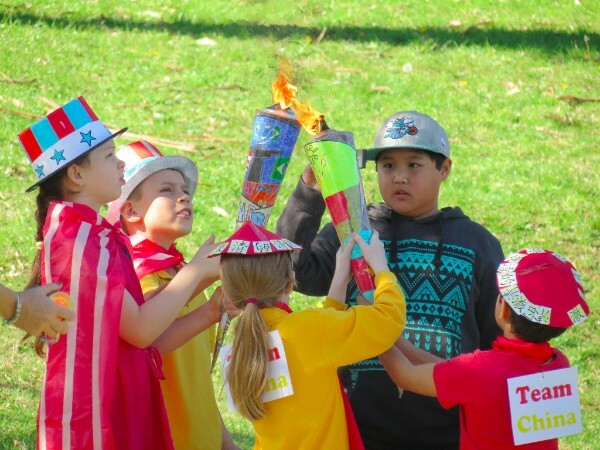 The Olympic cauldron was then lit by Darnell Te Ahuru, who declared the games officially open. Darnell has the best attendance record for 2016, so far. 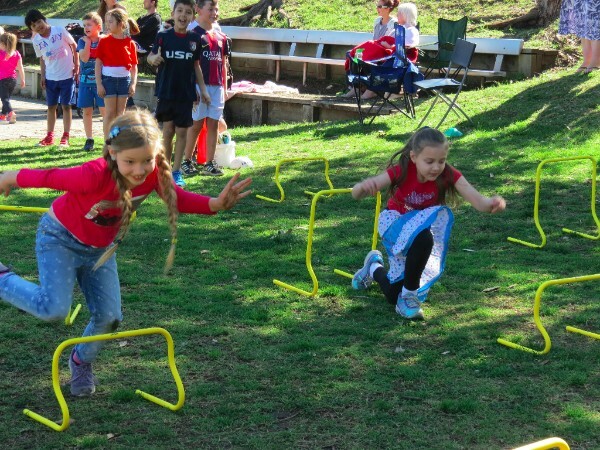 Students had an amazing time participating in all of the activities, from volleyball to noodle toss and everything in between. 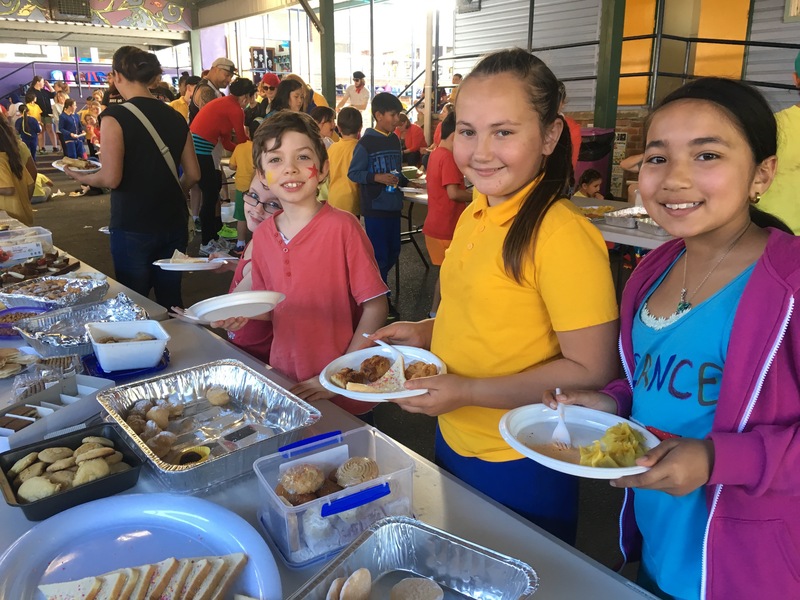 Of course, after the events were finished, students loved sampling all of the many delicious cuisines on offer at the International Food Fair and showing parents around their classrooms. Thank you so much to all of the wonderful parents, grandparents and carers who contributed to the amazing spread. For more pictures of our celebrations, check out our album on Facebook. It is a big week for our Southern Stars performers with rehearsals and performances scattered throughout the week. All the information you need can be found here, but for a quick breakdown: Wed 24 Aug - rehearsal at Smith's Hill High School. Students should wear their school uniform and bring their lunch and recess for the day. Bus departs from school at 7:45am and will return by 4pm. 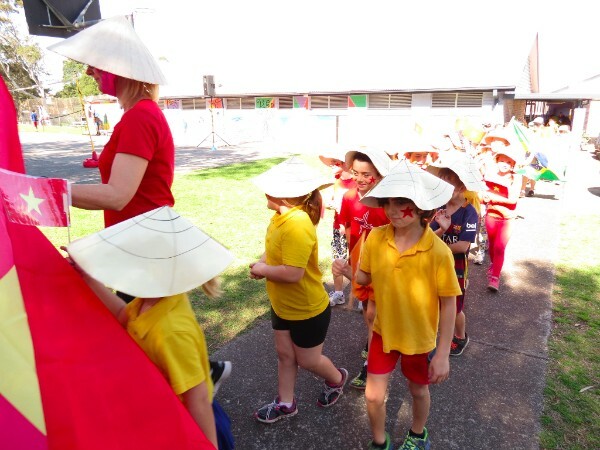 Thu 25 Aug - dress rehearsal at Win Entertainment Centre. Students should wear black dress pants, black shoes and socks and their school shirt. Costume shirts will be provided on the day and students will need to change. Please ensure school shirts are clearly labelled with your child's name to prevent loss. 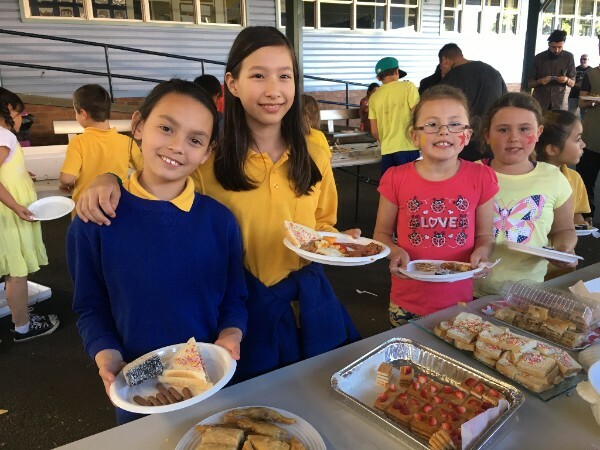 Students should bring lunch and recess, as there will not be a canteen available. Bus departs from school at 6:30am and will return at 6:45pm. Fri 26 Aug - Morning performance at Win Entertainment Centre. Students should come dressed in their costume. Bus will depart school at 7:45am and return at 1:45pm. 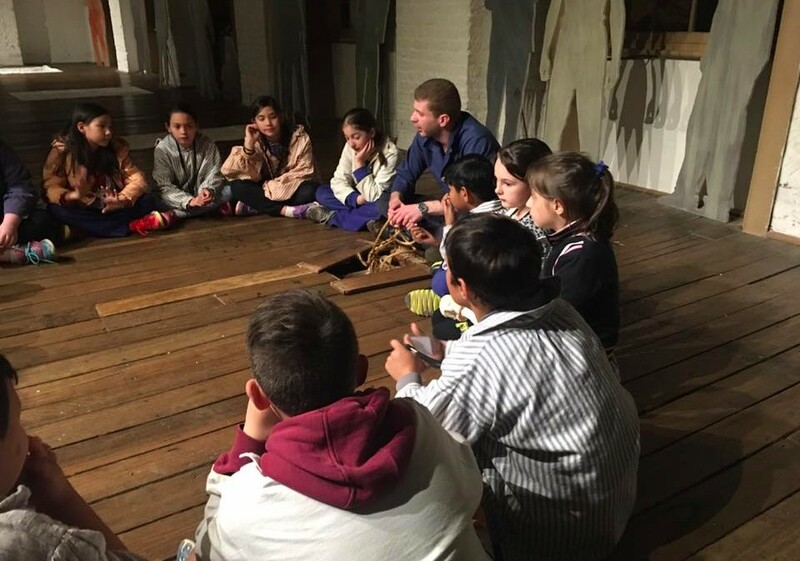 Students will be allowed to go home for a break before the second performance. The bus for the afternoon performance will leave school at 5:45pm and return at 11:00pm. Sat 27 Aug - Evening performance at Win Entertainment Centre. The bus will leave school at 12:30pm and return to school at 11:45pm. Students are permitted to bring phones or devices on the Thursday and Friday for daytime performances, but do so at their own risk. The safety of devices cannot be guaranteed and teachers will not be able to mind valuable possessions. 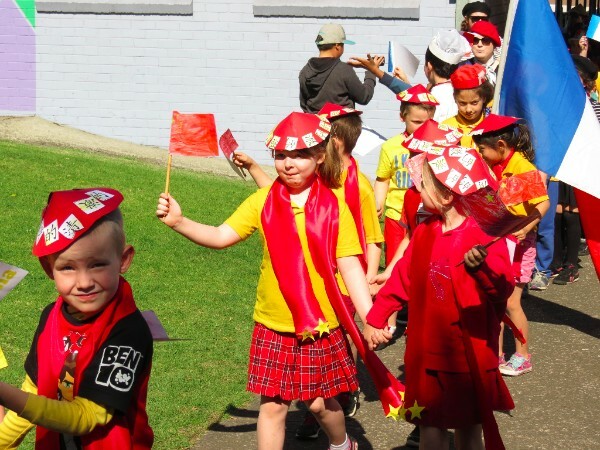 We wish all of the students involved in Southern Stars, the best of luck and know that they will do Lake Heights proud! 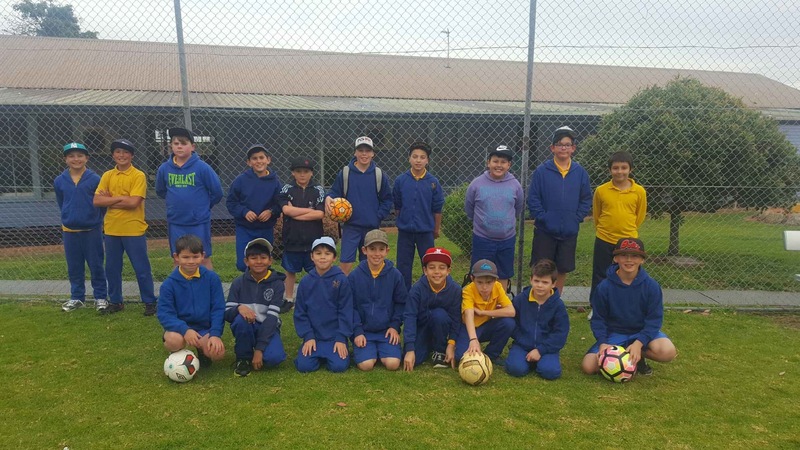 Well done to the Junior and Senior Boys Soccer Teamâ€‹s on successfully completing two rounds of PSSA Soccer against our neighbouring schools. It has been a great opportunity for students to not only get active and learn new skills, but also to work as a team to achieve a common goal. In their first round, the Junior Boys lost their first game, but lifted their spirits and came back to win their second game. The first game for the Senior Boys ended in a two-all draw. In round two, both the Junior Boys and Senior Boys won both their games. Both teams should be commended on their overall achievement so far. The Senior Boys Team displayed exceptional sportsmanship against their opponent in the second round and were commended highly for their manners and teamwork by the teacher that was in charge of their game. 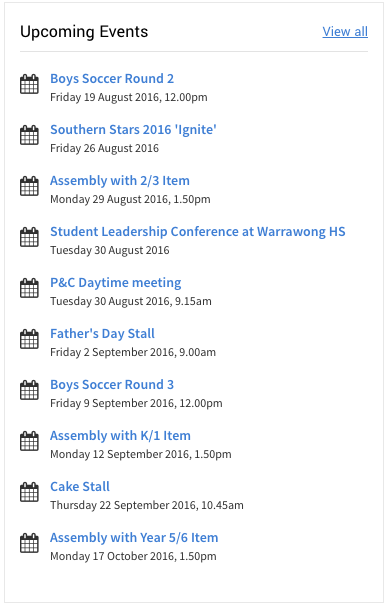 There is only one round left of PSSA for this term, Friday 9 September (Week 8). We wish both teams all the best for the final round. 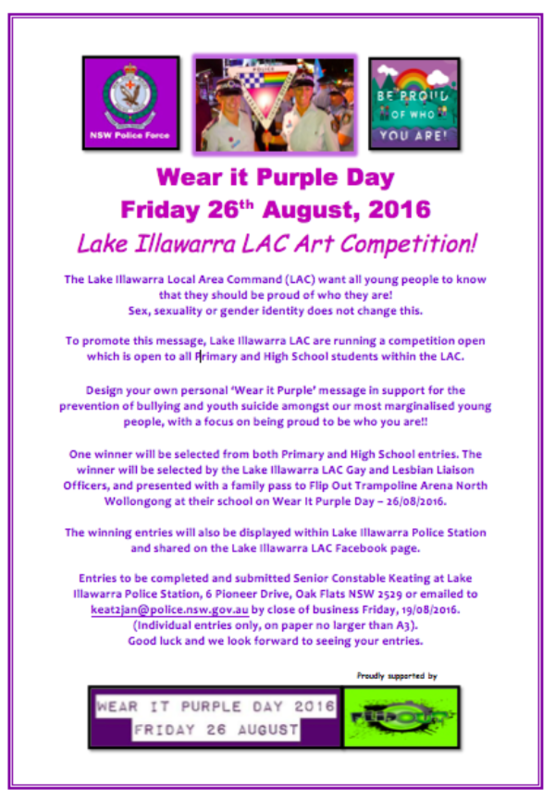 Go Lake Heights Public School! 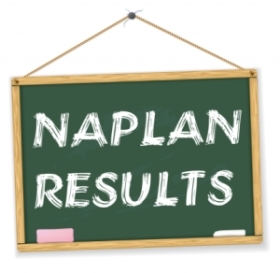 Students in Years 3 and 5 will receive their NAPLAN results today. 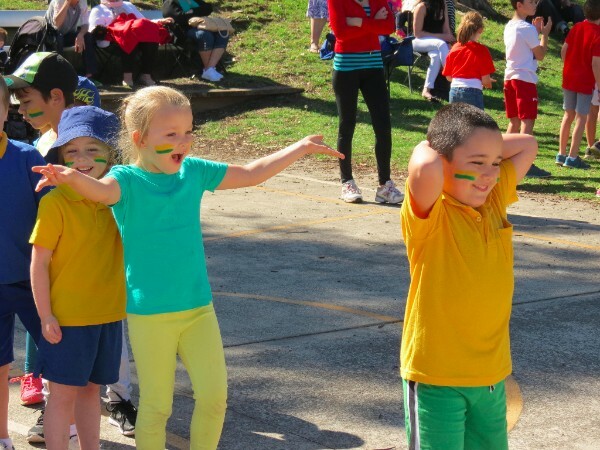 The testing took place between May 10-12 and assessed aspects of literacy and numeracy. The report shows the National average and Lake Heights' average and will allow parents to see how their child's performance compares with that of others who completed the tests. Additional information to assist parent's understanding of the results can be found here. Is your child missing jumpers or containers? With the return of warmer weather over the past few weeks, we have lots of jumpers and containers beginning to accumulate in lost property. Lost property is located right next to 'The Hub'. Please collect anything that your child owns and remember to label all items of clothing so that lost items can be returned. Unclaimed items are donated to charity bins at the end of each term.